As I ever say, I don't only like music from Japan and Korea but also from all over the world. For example, one of my favorite band is Phoenix that come from France. 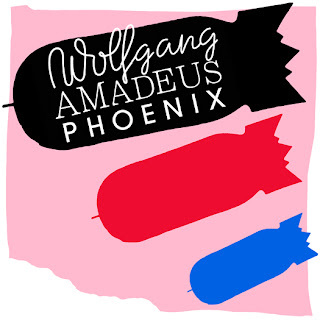 They've already have 4 studio album but honestly I just found out their existent in 2009 when they release their 4th album, Wolfgang Amadeus Phoenix. If you interested, you could download this song here. Hear their previous songs from their previous albums like "If I Ever Feel Better", "Everything is Everything" and "Run Run Run" also doesn't hurt^^. Ah, they also have been preparing for their next album. So, be sure to give them a listen.